Remember when high school chemistry was just blah? That's not the case in the classroom of chemistry teacher Andy Brunning. 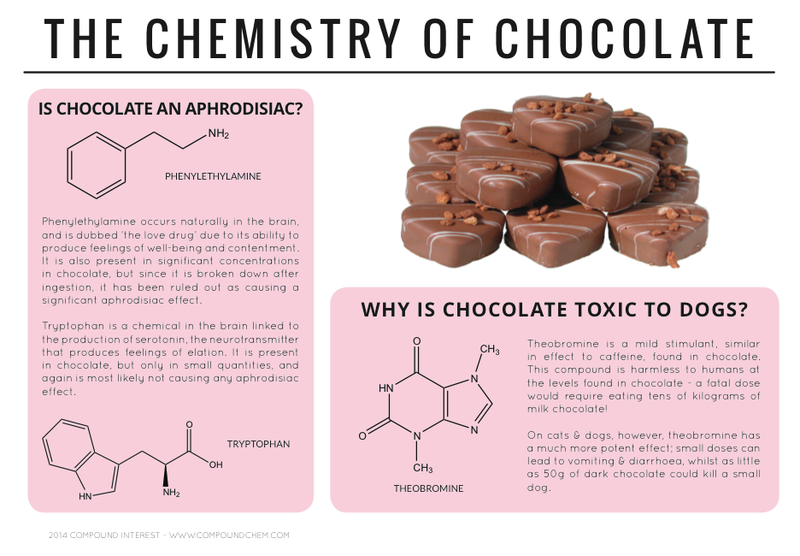 The British high school teacher has developed colorful infographics depicting the chemistry of popular foods like chocolate, wine, fruit and herbs. 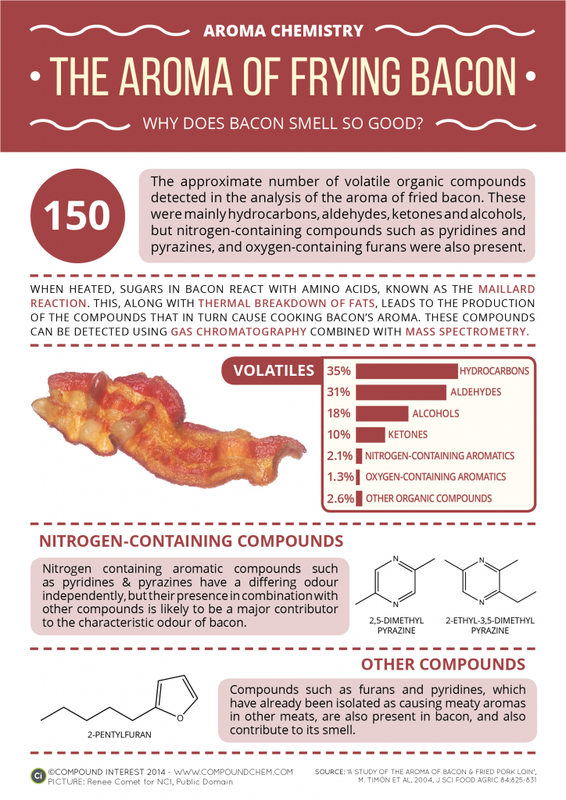 Every infographic breaks down the chemical composition of each food while answering pressing questions associated with that particular ingredient, such as why does coriander taste soapy or why does bacon smell so good. All of the infographics along with a written explanation are posted on his blog Compound Interest. Brunning's clever infographics cover a range of topics but those about food are what have made him popular with the American Chemical Society. The teacher has secured a book deal with Orion Publishing. 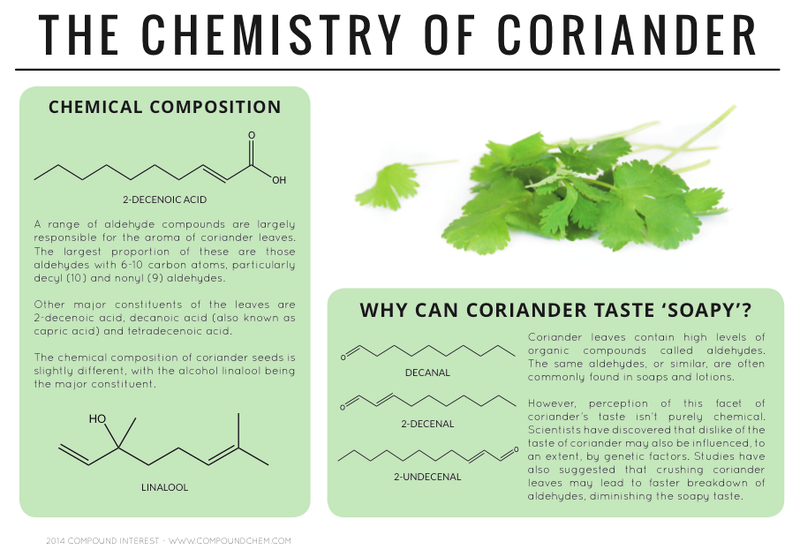 His book is tentatively titled Compound Interest: The Curious Chemistry of Food & Drink and will be published May 7th, 2015. In an interview with NPR's The Salt, Brunning said the book will focus on "the weird quirks and effects of certain foods, and the chemistry behind them." "I'm hoping the book will be visually engaging and fun to dip in and out of, even for people with just a passing interest in chemistry." Excited about his upcoming book, Brunning shared this sentiment on his blog: "I only started the Compound Interest project back in December of last year, so to have this opportunity less than six months in is definitely beyond any of the expectations I had for it." It's certainly not hard to see why his hard work has paid off. Do you like his infographics? Tell us in the comments below!